Pink eye is not an official medical term. It is actually conjunctivitis, a condition in which the inner layer of the eyelid covering the white part of the eye suffers inflammation or swelling. The condition is contagious and spreads easily at home, at school or at work. The condition is common and normally it doesn’t have any major effects but in some cases, it may develop into a serious problem. 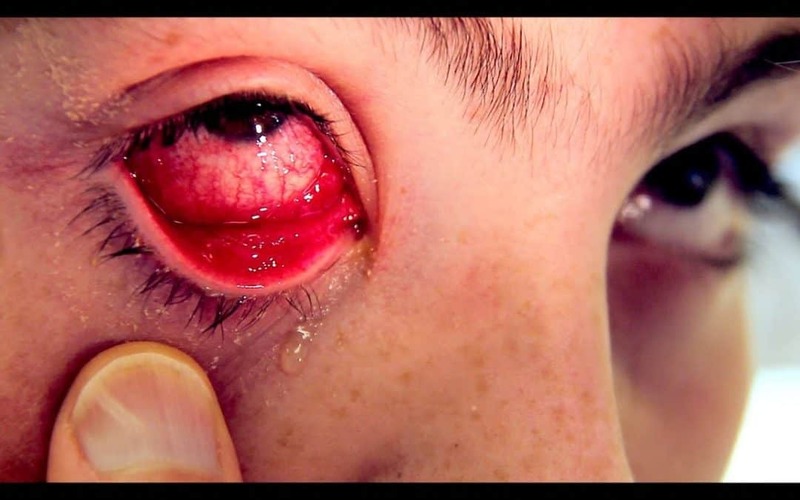 Here, in this article, from causes and effects to cure and prevention, we will tell you all about pink eye. If you search “Urgent care near me open now”, you can easily find a clinic to visit and understand more about the pink eye disease. Each type of pink eye has different symptoms and effects. Treatment for each type of conjunctivitis is different. Viral conjunctivitis is the most common type and it is caused by viruses related to the common cold. This form of pink eye is the most contagious form. The condition starts in one eye. This causes teary eyes and watery discharge. The condition starts to spread to another eye over time. Bacterial conjunctivitis is caused by bacteria from your own skin or respiratory system. Other causes of such conjunctivitis are physical contact with people, insects, facial lotions, makeup or poor hygiene. Usually, this type of condition doesn’t cause a serious problem. But if babies born with this disease are not treated, this may cause permanent optical damage. Allergic conjunctivitis occurs as an allergic reaction. People who have seasonal allergies are more likely to suffer allergic conjunctivitis. This type of conjunctivitis usually occurs due to foreign bodies present inside your eye. This condition is usually caused due to prosthetic eye, exposed suture on the eye surface, hard contact lenses or even soft contact lenses which are not timely replaced. As each type of conjunctivitis has different causes and effects similarly they have different treatments. The treatments help in increasing patient’s comfort, reducing the time length of the condition and preventing in further spreading of conjunctivitis. Antibiotics, eye drops or ointments are ineffective against viral conjunctivitis or infections. They complete their course which is usually two or three weeks. Artificial tears and cool compresses can relieve the symptoms and provide a temporary comfort to the patient. In worst case scenarios steroid drops may be used to reduce the effects of inflammation but still, they cannot shorten the course of the condition. Ointments and antibacterial eye drops are recommended for such conjunctivitis. This type of condition gets better within three to four days of treatment but it may reappear if the patient doesn’t take the full course of antibiotics. Removal or avoidance of the cause or the irritant should be done as an early measure. If the condition is mild, artificial tears and cool compresses can be used to remove discomfort but if the condition is severe, antihistamines and nonsteroidal medicines are recommended. Prevention is easier than a cure. In order to protect yourself and others from conjunctivitis keep some common things in mind like not to touch your eyes with your hands, not to use optical items of someone else and taking care of your hygiene. This article is just for the sake of awareness. Self-medication is not recommended. In case of any indication of the condition contact your nearest healthcare professional. A quick search about “Urgent care near me open now” will find you the nearest clinic for more information and proper treatment about pink eye.